A recent dispute in King County Small Claims Court concerned a boat repair. It was mediated successfully by the Dispute Resolution Center of King County. 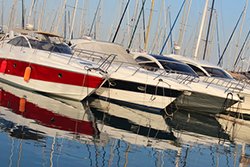 The boat owner (Party A) sued for damages, because the repair failed and had to be redone. The two parties disputed a key fact, which was whether or not the boat repair person (Party B) had done a critical test after the repair, which should have detected another failing part. Party A was strident in his opinion that party B had made a mistake. Party B revealed in his opening statement (and in caucus) that he deeply resented the challenge to his professional competence. The underlying issues for party A were fairness and responsibility—he had relied on Party B’s expertise and he expected him to stand behind his work, which included fixing the problem and errors in workmanship. Party B’s underlying issues were integrity, honor and reputation. The opening session was quite contentious. The facts were fully aired, but the negotiations soon reached an impasse. In caucus, Party A disclosed that he owned a service business. He was asked to visualize how he would feel and react if he did a job to specifications and a customer challenged his competence. Party B was asked to consider the consequences to his reputation if Party A prevailed. When the mediation resumed, Party A acknowledged that “stuff happens” and apologized for his accusatory behavior. At this point, Party B accepted the apology and agreed to pay for a portion of the boat repairs. The settlement included a confidentially provision. The parties shook hands upon leaving and parted amicably.